Hello! Hope you've all had a fab weekend, I've had a lovely weekend myself, spending time with friends and family. This absolutely needs to happen more often, it definitely soothes me and lifts my mood! So, this weeks Five Take... I'm powering on although I was alone last week in my efforts (sob, sob ha!) This week we're tackling shorts. I must say I'm not a huge shorts fan, I always find they ride up a bit, hungry bum syndrome.... Err yeh, I just said that. 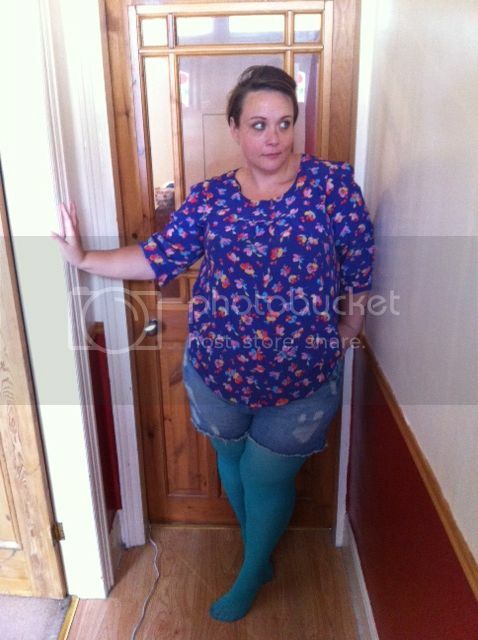 I wore my New Look shorts with the Clements Ribeiro for Evans Diana Top and We Love Colors turquoise tights.... A moment please for the tights...ummm amazing!! I've heard everyone raving about We Love Colors and was hoping I might get a chance to bag myself some at Plus North, but we handed all the samples out to our lovely guests and kind of forgot to bag a pair! But thank you to the gorgeous Caroline at Curvy Wordy who sent me a couple of her pairs I've finally got to try them and man, they rock! I wore the C/D size on my 52 inch hips. The fit was amazing, the material supersoft and appearance, pretty damn cool! I can't wait to stock up on them for Autumn/Winter. So guys, what's your feelings on shorts? Love them or hate them? Tights or no tights? Not really a shorts kinda gal, but love, love, love the colour of those tights. 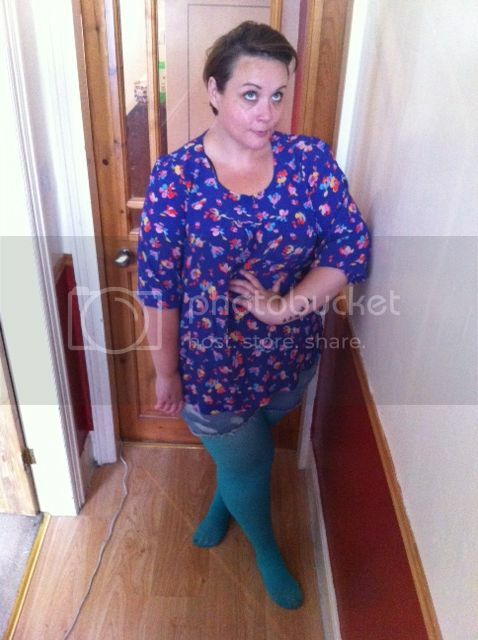 Hi I love your tights too - We love colours - never heard of them before and looking on the net they are American? Are there stockists in this country?? 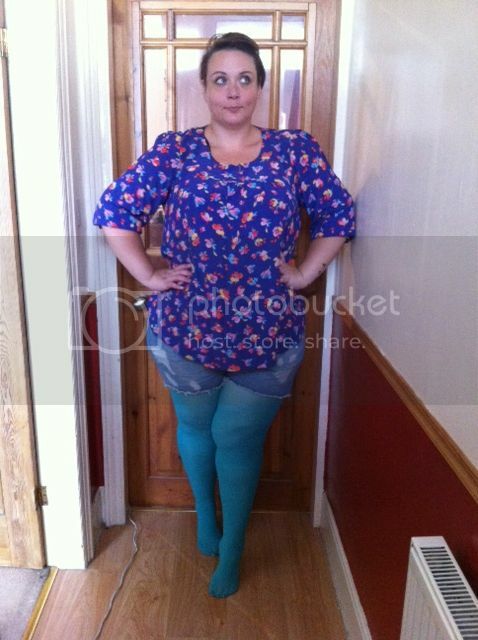 Always on the look out for plus size coloured tights! I love the look and think it's awesome that you are so confident and proud so applaud you for your page. So Rocks!